Avendus advises Tega Industries on its acquisition of Acotec S.A., Chile. 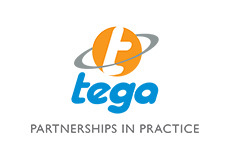 Tega Industries today concluded its acquisition of a 100% stake in the USD 35 Mn Acotec S.A. The Chile-based Acotec provides products and solutions for abrasion, corrosion and fluid transportation systems in the mining industry. This is the third acquisition for Tega with the recently concluded acquisition of Losugen in Australia and the acquisition for Beruc in South Africa earlier. This transaction will catapult Tega into a leading player in the Chilean market for abrasion and wear resistant products and open up the large and growing South American mining market. Acotec, whose products include rubber and polyurethane molded parts, lining coated high pressure spools, centrifugal pumps and corrosion resistant solutions, will add fluid transportation products like high pressure spools to the global product portfolio of Tega. Mr. Madan Mohanka, Managing Director of Tega said, “Acquisition of Acotec is in line with Tega’s strategy of continuously adding new products to its portfolio and expanding its geographical footprint, in order to offer better solutions to the global mining industry”. Commenting on the deal, Mr. Mehul Mohanka, Executive Director of Tega said, “We have identified South America as a key market for us and are trying to replicate our Africa success story in the Americas”. Mr. Preet Mohan Singh, Executive Director at Avendus said, “Besides being a large domestic mining market, Chile is a strategic entry point for Tega into the rapidly growing South American mining market. With the recent acquisition of Losugen and the earlier acquisition in South Africa, Tega has truly transformed into a global organisation with capabilities to service its clients through multiple locations”. Avendus Capital was the financial advisor to Tega Industries. Established in 1976, Tega specializes in the manufacturing and distribution of wear resistant lining components required for grinding, sizing and beneficiation of minerals. The Company has an extensive sales and distribution network spread over 48 countries and has adopted a “TOTAL SOLUTIONS” approach for servicing its customers by leveraging its in-depth knowledge of mining beneficiation processes. Acotec S.A. is a Chile based company with 20 years of experience in offerings solutions to the mining industry in Chile as well as in Peru, Argentina and Bolivia. Avendus Capital (Avendus) is a leading financial services firm with a strong transaction record and established relationships with companies and investors. Avendus has been consistently ranked among the top-five corporate finance advisors in India. The firm is also a leading syndicator of private equity deals in India. Avendus uses its unique domain and industry-focused approach in businesses such as M&A advisory, private placements for growing companies, structured finance advisory, equity capital markets, institutional broking, alternative asset management and wealth management. Avendus has emerged as the advisor of choice for cross-border M&A deals— more than 30 Indo-US and Indo-Europe deals—in the past three years. Headquartered in Mumbai, Avendus has offices in New Delhi, Bangalore, New York and London.